There are rip-off artists in the roofing industry. Use customer opinion, estimator questions, and the BBB to hire an honest roofing contractor on a re-roofing project. Shingle roofs have an average lifespan of fifteen to twenty years. Steel metal roofs will outlast shingles by thirty years or more! But the fact of the matter is that no roof is going to last forever; there comes a time when a roof repair job isnt sufficient. When it comes time to part with the old roof and re-roof with the new, the homeowner has to know how to select a roof contractor. Roof construction is important to the integrity and energy efficiency of the home. Accordingly, a homeowner shouldnt trust a roof installation to just any roofing contractor. 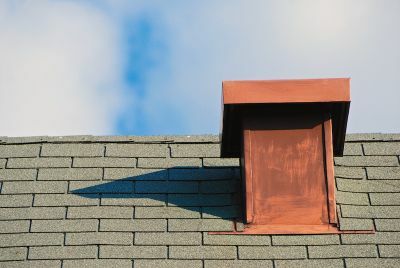 Since re-roofing an individual home doesnt occur often, its unlikely that the owner has a working relationship with a professional roofing contractor. Before you even begin shopping for a contractor, do a visual inspection yourself so that youll know where you stand before the estimator starts pointing things out. Its easy to do your own roof inspection. Here are some tips for selecting one. Any Friends or Coworkers with a New Roof? Did the residential building contractor clean up the work site? Were the specified roofing materials (shingles, felt, roofing nails, flashing, etc.) used? One national independent contractor evaluator that I highly recommend for all your home projects is Angies List, who makes it easy to find the best roof contractors. Join today. This company operates by compiling contractor ratings from homeowners that live in your area. How much is the extra charge for fixing damaged plywood or roof framing or roof trusses found under the existing roof? Is the company insured and bonded? This is important. If an uninsured worker gets hurt on the job, you, as the homeowner, can be sued. How long is the labor and material warranty? Does the price include ripping off the existing roof shingles? Will the company be liable for any damage to roof rain gutters? Is there an interest-free payment plan available? This is far superior than using a credit card or digging into your savings account. Larger construction contractors can afford to float the payment and know that all other things being equal, it can be a deal-maker or or deal-breaker. Its always a good idea to check the with the BBB and other local organizations such as the Chamber of Commerce. They maintain a list of consumer complaints against local companies, including building contractors. They should also tell an inquirer how each case was resolved. Just the fact that there has been a complaint is not sufficient for marking them off the short list. Do be aware of disturbing trends. There should be two or three roof contractors left on the list. Instinct is a powerful tool. Use it. The homeowner should have a feel for the person who made the estimate, and that person represents the contracting company.